Our guide will pick you up from the airport or your hotel and drive you to the Infiniti where you will be assigned your cabins after a brief welcome and safety briefing. The cruise director will schedule up to 4 dives a day with 3-day dives and 1 evening or night dive. For the last day, we only schedule 2 dives so you have 24 hours before your flights. Dive top dive sites in the Malapascua Island Region: Monad Shoal, Kemod shoal and more. Gato Island: White Tip Alley, the Cave, Nudibranch City. 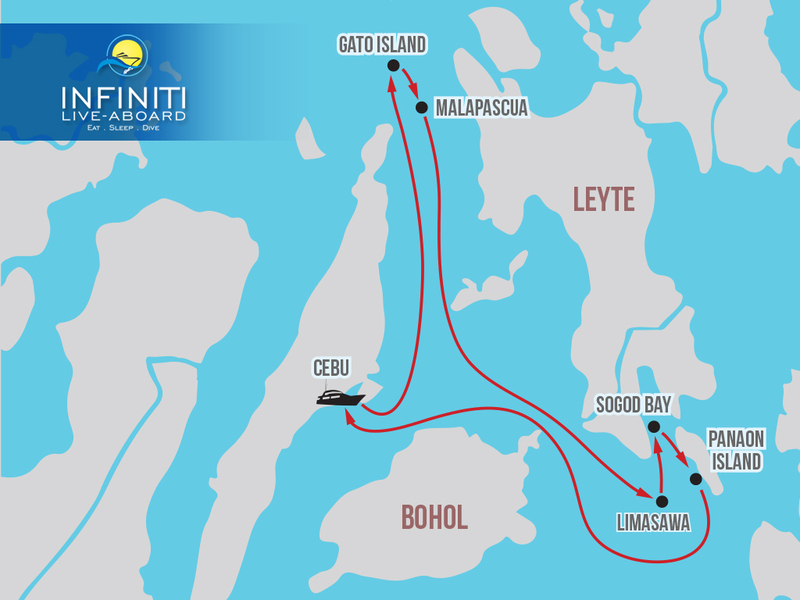 Leyte Region: Panaon Island, Sogod Bay and more. Wreck diving at Lighthouse Wreck and the Dona Marilyn wreck for experienced divers. 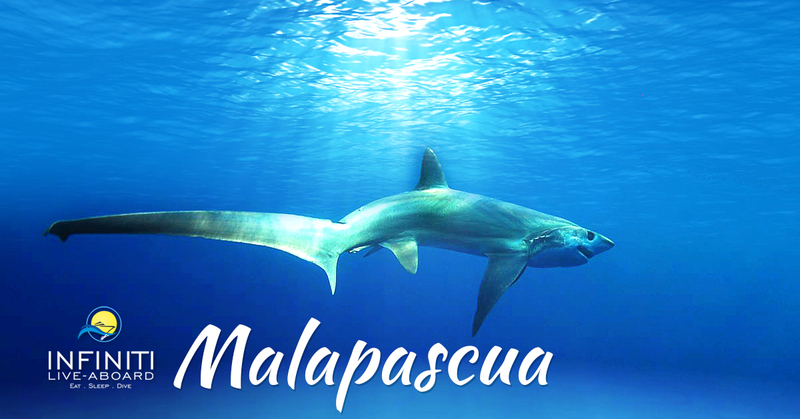 Marine life: Malapascua region is a divers dream destination for Thresher Shark sightings, Sea snake sanctuary of the Gato Island. Nudibranchs, white tip reef sharks, whale sharks, flamboyant cuttlefish, schools of Barracuda, tuna and jacks are some of the marine life in addition to the healthy coral gardens alive with a variety of macro marine life. Please Note: This is a sample itinerary and our cruise director can modify the route according to the weather, currents and diving conditions. We wish to give you the best diving experience of the region, but safety of all on board is the foremost concern and we will do our best to offer alternate locations in case any of the listed sites is not accessible at the time. One of the best ways to explore the world's oceans and seas is to venture out on a liveaboard cruise.